All golf tournaments are equal. Some are more equal than others. PGA Tour events such as the Kemper Open just aren’t the same as the four tournaments known as The Majors: The Masters, The U.S. Open, The British Open, and the PGA Championship. The fans know it. The media know it. Most importantly, the players know it. In The Majors (Little, Brown $25 SRP), John Feinstein shows his readers the mental and physical effects on the players that these four events produce. Feinstein returns to the story-telling method that worked so well in A Good Walk Spoiled. He selects several golfers and follows their progress in the four majors in 1998. He also describes some of the history of the four tournaments. 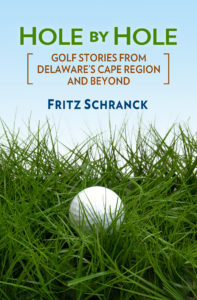 Along the way Feinstein visits again with some of the golfers readers came to know and appreciate in his earlier book, such as Paul Goydos and Jeff Sluman. Readers also learn the biography and playing history of Mark O’Meara, Lee Janzen, and Vijay Singh. These are three very different men, whose life histories and approaches to golf could not be more varied. They now share a common history as major winners, and the stories behind their 1998 triumphs are told well here. Each winner benefited from an amazing bit of luck on their way to victory. O’Meara’s “lost and found” ball in the British Open, Janzen’s ball falling out of the tree at just the right time in the U.S. Open, and Singh’s ricochet off a tree at the PGA Championship were unexpected bonuses. These breaks don’t mean their wins were flukes. It just reminds all golfers that chance helps determine who wins and who loses. Feinstein also gives an “up close and personal” look at several other golfers. Fred Couples, Brad Faxon, and John Daly had personal problems off the course in 1998, some more publicized than others. Feinstein shows how their home life affected their games, with great empathy. Readers are also introduced to Jim Furyk, Steve Stricker, and Brian Watts, among others. Good people are worth reading about. I was most intrigued by the stories of Payne Stewart and Justin Leonard. It’s pretty clear that Stewart had some growing up to do well after he turned 21. Feinstein describes how Stewart succeeded at this task with the help of others, including his wife. Stewart’s performance at the U.S. Open at Olympic is compelling reading. Justin Leonard is very young, but usually acts much older. His maturity is evident in his style of play and in his dealings with the press. It was an eye-opener, therefore, to see that under certain conditions he could become sufficiently rattled to show his age. Jeff Sluman did Leonard a favor that Feinstein recounts here, and one hopes that Leonard will appreciate it eventually. John Feinstein’s past books on golf, A Good Walk Spoiled and The First Coming, were bestsellers with good reason. He can tell a great story about the game so many love. The Majors is also on the bestseller lists, and will likely remain there for a while. Feinstein takes advantage of the fact that golf makes for great character studies, and does a remarkable job of reporting them. Don’t forget that 1998 Masters and British Open Champion Mark O’Meara is coming to Rehoboth Beach Country Club June 21 for a golf exhibition. Sponsored by Toyota, the proceeds benefit the DSGA Scholarship Fund. Tickets are $20 for adults, and juniors 18 and under have free admission. Call 302-227-3616 for more details.